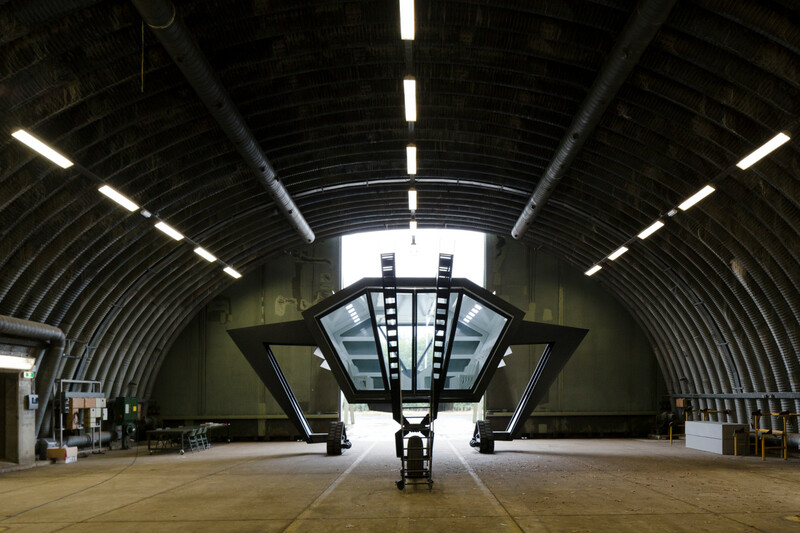 Inside the “sculpture” (Secret Operation 610), as they call the steel monster, the RAAAF team gathers around a table —the only object in the otherwise empty shelter. 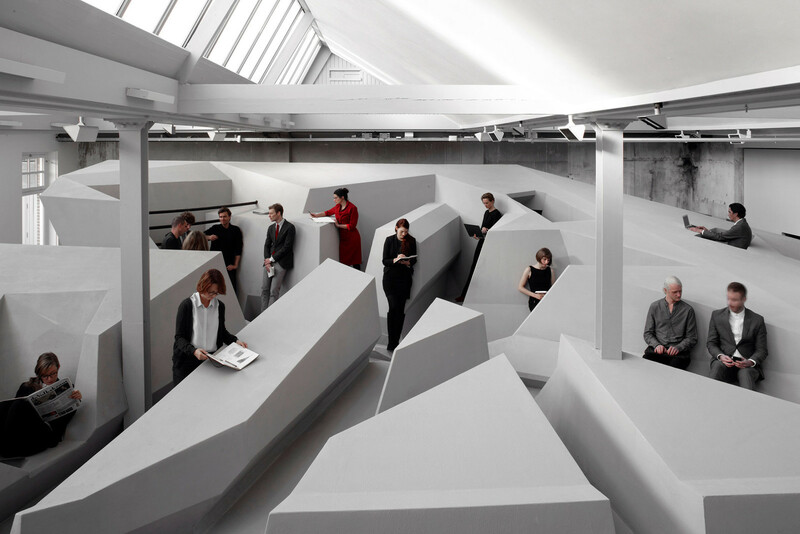 Philosophers, artists, scientists and architects have come together to create, what RAAAF calls, new thinking models. By combining their multiple professions, they aspire to view the world differently, veering away from the status quo. Since founding RAAAF in 2006, Prix-de-Rome awarded architect Ronald and his brother Erik, a Berkeley and Harvard educated philosopher, have joined forces on various projects which were presented at art and architecture biennales worldwide. Together with junior project leader Arna Mackic, they intend to attack predefined spatial use and behavioral patterns. Radically breaking these patterns down to their basic elements will lead to a critical, but also entirely new perspective on our societal environment. Indeed, a new perspective opens up as we are escorted into the entrails of the creature. 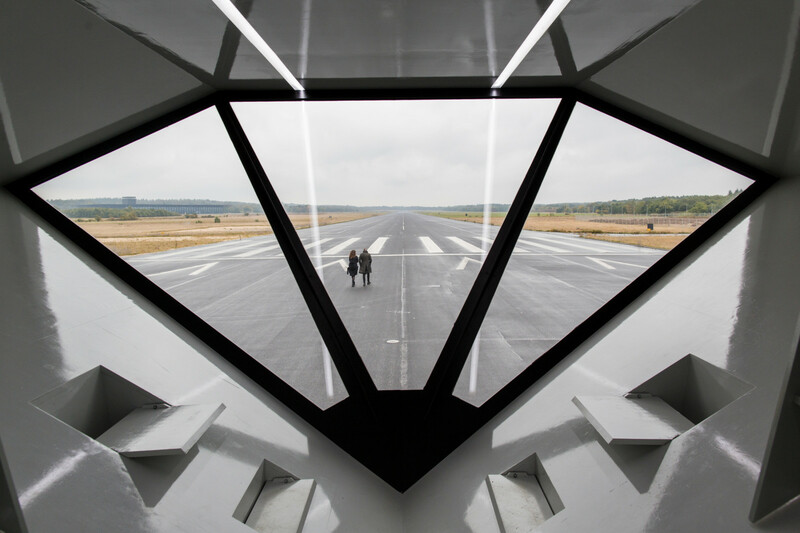 The five-sided, all-white capsule houses several pullout seats around a meeting table, but also diagonal backrests next to a panorama window looking out to the three-kilometer-long landing strip ahead of us. Like a kid navigating his motorcar, the technician commands the monster to start moving at a leisurely pace. As we glide forward, Ronald and Arna explain the story behind their “Secret Operation 610” which they made in collaboration with Studio Frank Havermans. During the Cold War, Soesterberg Airbase was a crucial location for American and Dutch air forces. Called “Camp New Amsterdam” by American troops, Soesterberg was the oldest active airfield on Dutch grounds up until its closure. Due to its former role as a significant headquarter for war operations, a certain bellicose element has persisted—the team found its “concrete boldness” purely fascinating. Intensely researching the airbase’s history has led them to examine the F-15 strike fighters that were based at Soesterberg. The visual viciousness of the fighters inspired them to build an object equally daunting but with its destructive energy transformed into progressive force. The object now functions as a think tank for scientists and artists from around the world, inviting them to brainstorm in an environment entirely detached from the boundaries of rationality. 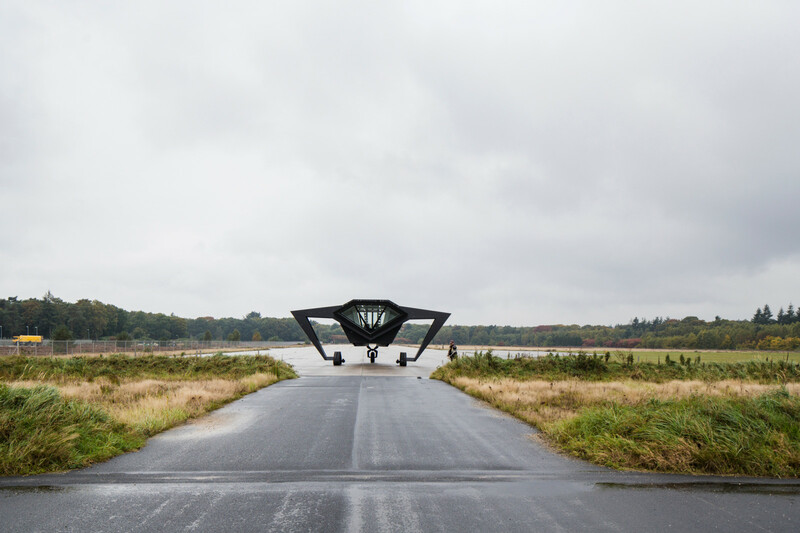 Additionally, researchers from the Technical University of Delft can now use this site as an experimental playground to test sustainable flying technologies. Without concealing its historical richness and powerful aesthetics, RAAAF drew on the symbolic ferocity embodied in the airbase. “Military objects were always made in a very specific time for a very specific reason. And these times were always crucial turning points in history,” Arna remarks. Maintaining cultural heritage for future generations tends to be inextricably linked to a process of material conservation. Out of a habit, we collect, nurse and archive the culture we produce, which becomes visible in the way we deal with tangible cultural heritage such as architectural monuments. “People specialized in cultural heritage are much too polite with history,” Ronald says. 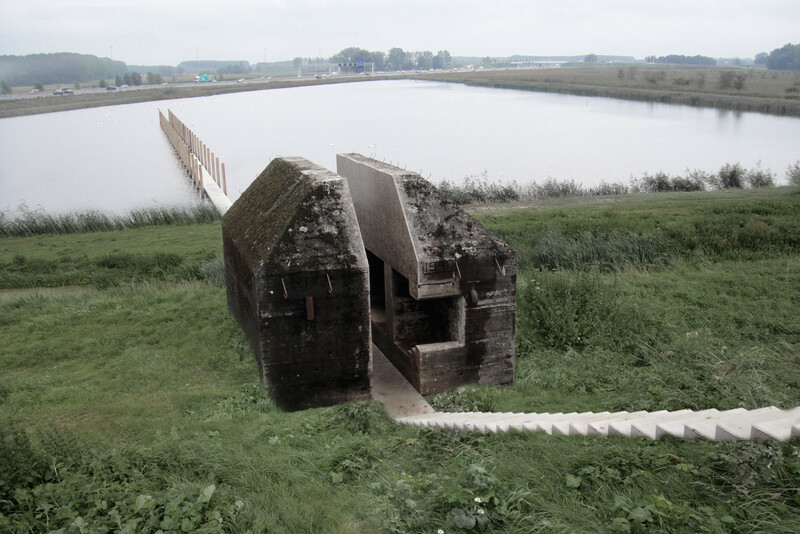 “We’ve actually been quite rude with it.” For instance, 700 war bunkers are still spread cross-country in the Netherlands; they remain untouched like irrevocably sealed time capsules. The term ‘intervention’ itself is ambiguous in relation to art happenings and politically motivated operations. By combining both aspects, RAAAF succeeds in putting serious criticism across in a visually appealing manner. But despite knowing that a well-presented intervention can attract the public much faster, RAAAF insists that design is not their primary interest. Rather, they’ve understood that maneuvering their interests through the channels of art merely enables them to maintain a certain freedom. “Many architects have become slaves of the market. Pushed by clients, they don’t think for themselves anymore. They won’t ask the big questions,” says Ronald. One of their most persisting concerns is the lost potential of vacant buildings in the Netherlands: Not just enormous airports with neglected landing strips, but also beautifully built churches and abandoned schools with chair-less classrooms. It’s rare to see such juxtaposing imagery; a dismantling memorial of how mankind has forgotten its own competence. “These monuments are very unique; they have a special character that you find nowhere else,” Arna says. Aside from that, Dutch citizens pay taxes for their maintenance which can cost up to 200,000 euros a year per building—a matter of great indignation for RAAAF. 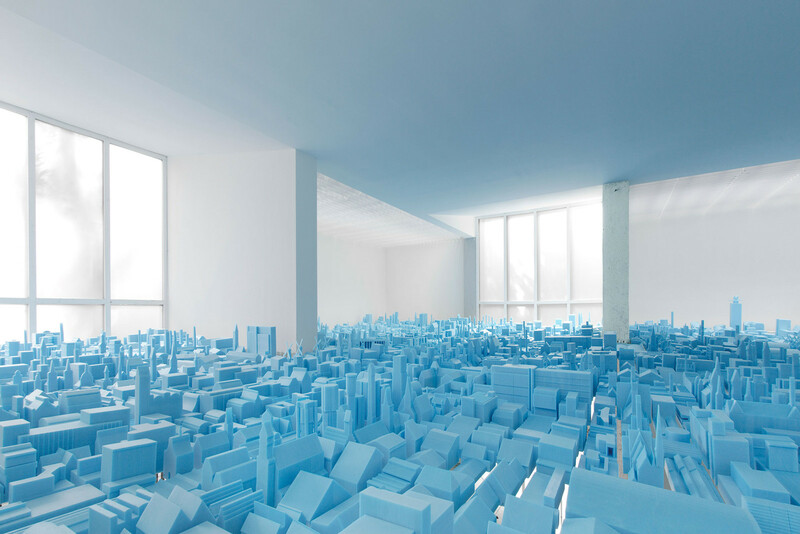 Alongside their installation “Vacant NL” at the Venice Biennale 2010—a stunning blue ocean made out of miniature-sized vacant buildings—their “Dutch Atlas of Vacancy,” lists all possible uses of empty factories, forts or hospitals. “At some locations you could build huge open fires or make extremely loud noise. Where can you still do that? We pretend that everything’s possible but in fact there are restrictions on everything. The world has become boring.” One can hear the rebellion in Ronald’s voice alongside his excitement for the alternatives he spots on the horizon. Another angle of RAAAF’s multi-faceted perspective is the relation between action and spatial features, as Erik, the team’s philosophical inquisitor, points out. Throughout the history of philosophy, the human mind has traditionally been considered as the origin of all theoretical journeys or physical fluctuations. “We tend to think that behavior starts with an intention in our head. It’s a typical assumption made in philosophy, but also in neuroscience and other fields,” Erik explains. “But research in embodied cognitive science shows that the origin of action is typically something else, namely affordances. Affordances are the possibilities to act upon something. A chair offers the possibility to sit; a cup to drink; a bike to ride. That means, the human environment that we find ourselves in has been structured based on all these options. Once you’ve acquired the skill to sit on a chair or ride your bike, you can respond to these affordances without reflecting. This is why we should start thinking of action as a means to joining forces with environmental affordances rather than as an individual’s intention, which partly turns the mind into something external.” With this theoretical approach in mind, another meaning of vacancy arises: Even when a building’s life is nearing its end, its affordances live on. “A vacant school still offers the possibility to write on the board––if you just get the key,” he explains. If not? The immense compound of human potential simply remains buried under our negligence. This notion elicits the urge to think on a wider spectrum: In present times, certain culturally established affordances seem indispensable; without them life in fast-paced urban spheres would seem unmanageable. A close observation of the multitude of mechanisms we rely on on a daily basis seems crucial. According to Erik, one must think of affordances as a rich landscape displaying all socio-cultural practices and skills mankind has developed over centuries. On one side, there’s immense potential, whereas on the other, the danger of a lethargic routine is looming closer. Not only might we fail to see newfound possibilities beyond the scope of our daily life, but we might not even question the solutions previous generations have laid out for us. In fact, certain essential behavioral patterns are already steering towards immutability. 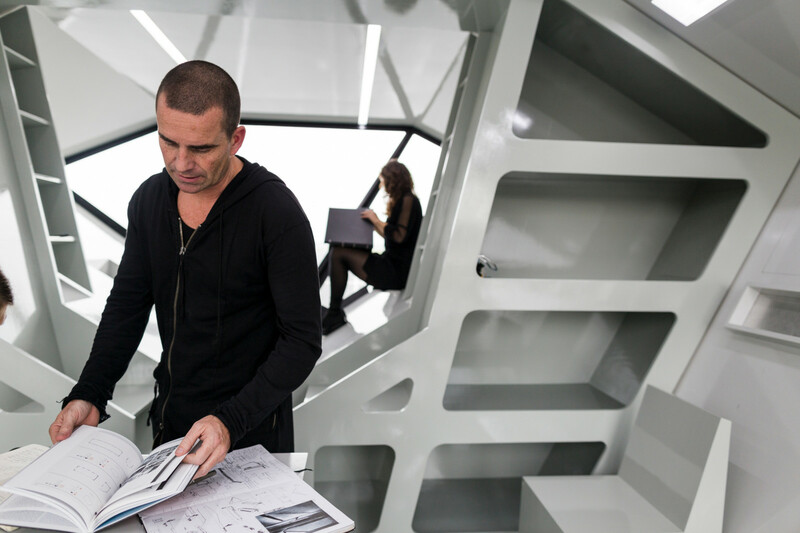 With the “End of Sitting” project, RAAAF embarked on yet another visionary journey by offering a realistic scenario of how humans could interact with the workplace of the near future. A celestial scenery where white zig-zag plinths interlock in all kinds of angles—except for the common rectangle of course. Chairs are banned. Instead, visitors are invited to actively experiment with their body positions. The project was again inspired by what the team found in history: diverse working positions during the Renaissance or the fact that Virginia Woolf and Winston Churchill used to work standing. But even more thought-provoking is RAAAF’s attempt to “raise awareness of health issues caused by prolonged sitting and present the benefits of a highly alerted mind,” as Arna puts it. Their work seems to be a much-needed hand in saving society from plunging into paralysis. Is RAAAF utopian? The team is startled by this question. 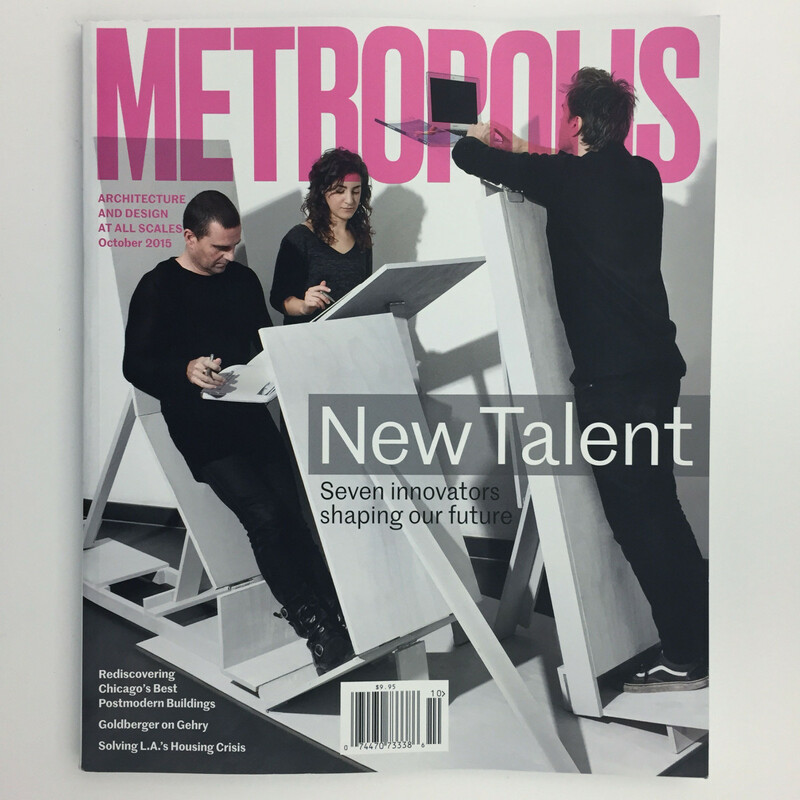 “We want to open up radically new perspectives and set developments in motion, rather than solving problems. This is the starting point of a new thinking model, and every project is a manifesto in itself,” says Ronald. “It’s about experiments, not about devising a master plan—like the finger that checks the heartbeat,” Erik adds. “We would never think hundred years ahead, only five or ten.” Pressing them for even a semi-obscure scenario of what their perfect world would look like in a hundred years proves futile. “This has gone wrong way too many times in human history,” Erik smiles. Thanks Arna Mackic, Ronald Rietveld & Erik Rietveld, for sharing your thoughts and knowledge, as well as encouraging us to approach new horizons. Dig deeper into RAAAF’s groundbreaking work here.